Last October we thought that we have version 2.2 all but ready, but then users found some hard to fix problems and our schedule plan got heavily delayed into the 2016. Of course we spent all this time improving Smart in all its aspects and we added a ton of fixes and even some small new features. So now – when the original problems are fixed – we decided to release yet another beta. Hopefully this will be the last one. If you are already running the beta-4, you can just start the SmartUpdate program and it will fetch the new version. Otherwise, you should follow the detailed instructions outlined in the beta-1 announcement. In the last article we have focused on how to use Cordova to build hybrid web applications with Smart Mobile Studio. In this article we focus about writing Node.js command-line tools (like Cordova) itself in Smart Mobile Studio. The RTL is getting a bit of attention these days, with plenty of visual effects, tweens and more being added to it. It’s easy to forget that sometimes even the smallest things can be of utmost importance. Like how to tell a single from a double via code! Today I was fiddling with a “mini language” module I have been working on. Actually it’s an effect module that allows you to script and compile effect logic in smart pascal itself, so almost like a second language. 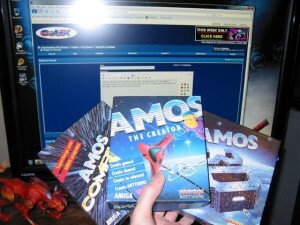 If you ever played around with Amos Basic on the Amiga home computer back in the 90’s, you may remember that Amos had a secondary animation language? Well, on that old computer sprites and animation was interrupt based (just think threads if you dont have any idea what hardware interrupts are). This allowed the creator of Amos Basic, Francois Lionet, to add a really cool animation language which was executed in the background — allowing your main program to run in parallell to your animation code. 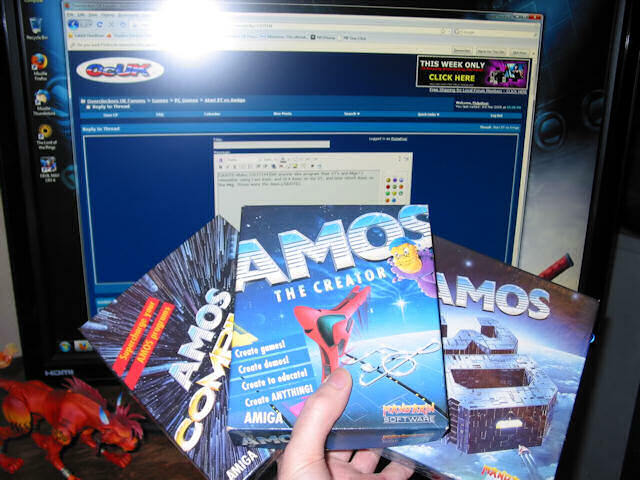 I dont know how many months and years I spent coding Amos and BlitzBasic in my teens, but let’s just say it was A LOT! Francois Lionet and Mark Sibly, the author of BlitzBasic and the Blitz compiler chain were my absolute childhood heroes. Well, that animation language (but better naturally) is in effect what I am hoping to achieve with my little virtual machine. I really want it to be super-easy to create awesome effects, and I want it to be fast, flicker free and smooth as a baby’s bottom. So a mini bytecode system seems like just the ticket to get that working – and naturally it’s written in smart itself, so you can play around with it when it’s done. But back to the problem: I had to extend the TReader and TWriter class with the abillity to handle variant datatypes. This also meant adding “word” as a new RTL datatype to handle those 16 bit values. And last but not least — detecting the difference between 32 and 64 bit floating points. I mean, if you get that wrong it’s going to cause havoc! In a bytecode virtual machine like, say, Java or CLR (common language runtime, .NET style) your compiler have to deal with two different things: code and data. One thing is variables (both global and local), but what about constants? Whenever you pass a fixed value to a procedure, that value is actually a constant. It doesnt change and it will be compiled with your program. 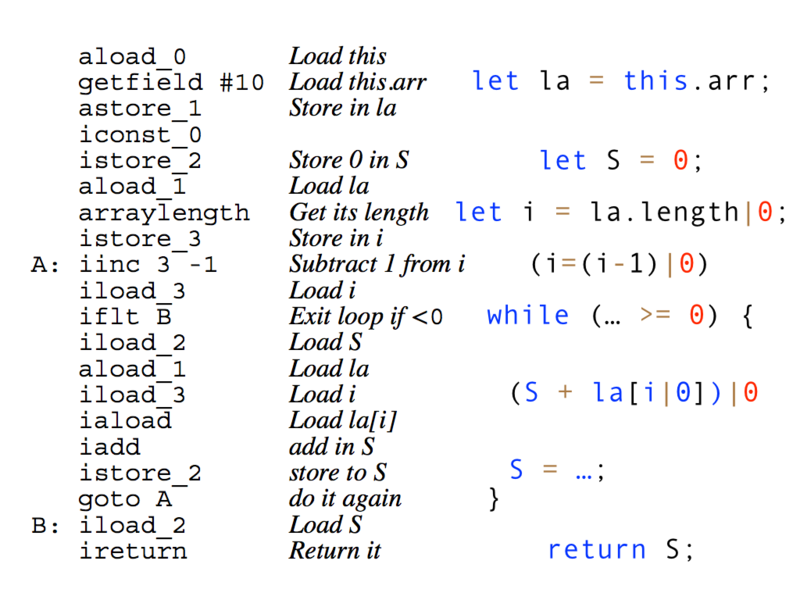 Well this is where the compiler get’s smart and picks that up, and the value is stored in a special list. So when the program runs, it will fetch that constant from storage and use it. Or, in case of the CLR, it will be compiled directly into the bytecode if it’s an intrinsic value (long story). As you probably guess, that’s called a dataseg (data segment), which is different from a codeseg, where the opcode and “asm” is stored. So thats when i suddenly realized: we have no function in the RTL to tell the difference between a 32bit float and a 64bit float ! Not much is it? But yet so important. In the forums there was a discussion about how to wrap existing libraries transparently and with a minimum of overhead. In that discussion an example was given about how to wrap the neural network library brain. To avoid posting the same text here as well, this blog post is about translating another neural network library called ‘Synaptic‘.